Caption: From Left to Right, Joe, Beth and Brady Kaufmann; Rep. Davidsmeyer; Rachel and Breanne Kaufmann. 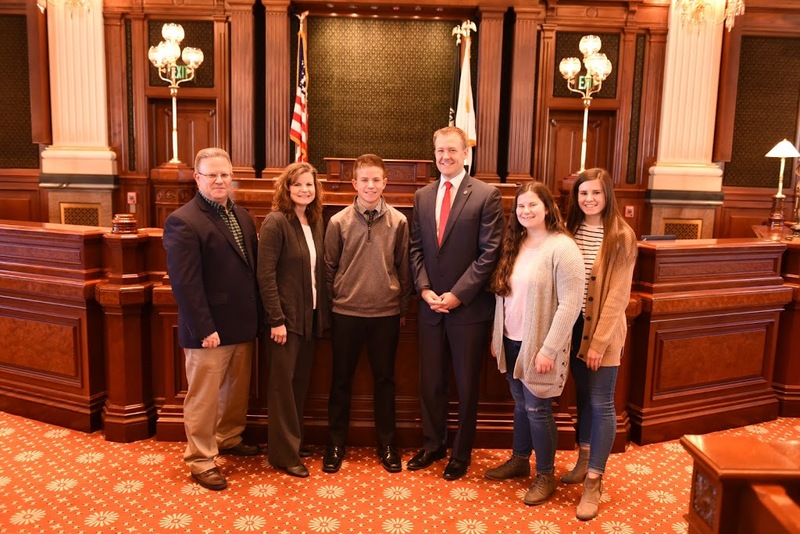 SPRINGFIELD, IL…Brady Kaufmann, the Illinois Elementary School Association (IESA) State Golf Champion, was honored at the Illinois State Capitol this week by Rep. C.D. Davidsmeyer (R-Jacksonville). Kaufmann, an eighth grader at Jacksonville Middle School, is coached by his father Joe Kaufmann.